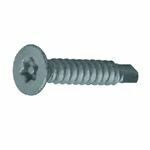 Tamper Proof Security Torx Screws are also often called Pin Torx Screws, Star Drive Pin Screws or Resistorx security screws, but whatever you call them, they are a great product for high torque applications or for use with powered screwdrivers ...and they`re available from stock. 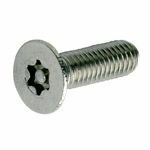 Being two-way screws, tamper proof torx screws are installed with a matching security torx driver tool and can be removed later (with a matching driver) if required, making them a great choice when you`re looking for a versatile anti-tamper screw. 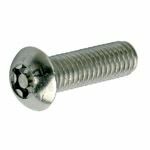 Security Torx screws are also known by a number of other names such as; Pin Torx, tamper proof torx, star drive pin screws and Resistorx screws among others. Tamper proof Security Torx screws in Stainless Steel, have been used here, to prevent tampering with the newly built "Connors Court" community leisure and games court. 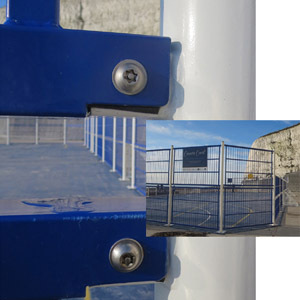 This structure has been built below the impressive white chalk cliffs on the undercliffe walk along the Brighton coastline where use of stainless steel fixings was essential given to the close proximity to the sea. 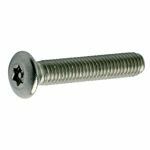 These "Two-way" screws require a matching Security Torx Driver Tool (such as a one piece Pin Torx Security Screwdriver, Torx Security Bit or the "L" shaped Security Torx Keywrench) to install or remove them. The Security Driver size required will depend on the size and head type of screw chosen, however the driver size is clearly shown on the screws selection chart. Available in a range of sizes, our Pin Torx security screws are manufactured as standard from A2 grade stainless steel and are available with a choice of head shapes and thread types (alternative material and finish available subject to special order and MOQs - call 01273 475500 if you would like a quote for bespoke product manufacture). 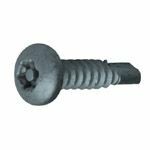 Our Pin Torx Self Tapping Screws feature an AB type self-tapper thread and are available with a choice of countersunk or button head. Our Metric Pin Torx Machine Screws are available with a countersunk, raised countersunk or button style head. 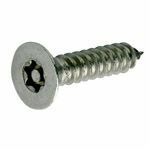 The raised countersunk machine screws are often referred to as Electrical Screws and are a direct replacement for the face plate securing screws supplied as standard with 13amp mains electrical sockets and mains light switches. Security Torx Electrical Screws are available with the largest range of lengths (up to 75mm or 3" long), of any type of Electrical Screw, so will even cover those installations where a long reach screw is the only option. 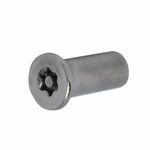 The 6 lobe head recess provides a positive grip, making Security-Torx screws ideal for use with powered screwdrivers or for any high torque applications.